The iPhone 3G has officially released, which is twice as fast at half the price. It will soon become dream gadget for many enthusiast around the globe. With fast 3G wireless technology, GPS mapping, support for enterprise features like Microsoft Exchange, and the new App Store, iPhone 3G puts even more features to the phone. Likes its predecessor, it is 3-in-1 consists of a magnificent phone, a widescreen iPod, and a high speed Internet device. Certainly, iPhone 3G is made of glossy plastic material which comes in 2 colours. It offers great dimensions 115.5 mm in height, 62.1 mm Width and 12.3 mm in depth. More importantly, it comes with only 133 grams in weight. 3.5-inch (diagonal) widescreen Multi-Touch display and 480 x 320 pixel at 163 ppi allows the view to get even better and better. With earphone jack on the left top of iPhone, everybody could enjoy music as easy and comfortable as possible. iPhone 3G allows the users to record something with its microphone. Various audio formats such as AAC, Protected AAC, MP3, MP3 VBR, Audible (formats 1, 2, and 3), Apple Lossless, AIFF, and WAV are supported. iPhone 3G comes with 2 MP camera. An additional point is a geotagging features that let users record their photos with geographical data (including but not limited to latitude, longitude coordinate, altitude, bearing, and place names). iPhone 3G compatibles for various video formats such as .m4v, .mp4, and .mov file. Inherit from previous iPhone version, this 3G one also support viewing of YouTube.com. iPhone 3G supports GSM/EDGE (850, 900, 1800, 1900 MHz) and UMTS/HSDPA (850, 1900, 2100 MHz). It also support wireless connectivity Wi-Fi (802.11b/g) and Bluetooth 2.0 + EDR. You can talk and doing other significant things such as browsing the web, checking your email, RSS feeds, using maps form its GPS, etc. iPhone 3G support rich HTML format, Microsoft Word, Excel, PowerPoint, PDF, JPEG, and finally Apple’s egocentric software iWork, with the feeling with tap to zoom screen. iPhone	3G has come to support Microsoft ActiveSync. User can read Yahoo! mail or Gmail without having hassle. Furthemore, the phone support for industry-standard IMAP or POP mail systems. Finds your location via GPS or by triangulating your position using Wi-Fi and cellular towers. Entering POI (points of interest) by keyword “coffee” will shows you every cafe nearby. It is one of the fastest browser and is available on this iPhone version and that enable user to view web page the way it is designed to be. Safari iPhone 3G version also allow user to view web page in landscape or portrait mode by rotating the iPhone at 90 degrees. Apples has redefined what a phone can do. It would certainly something to look forward to. 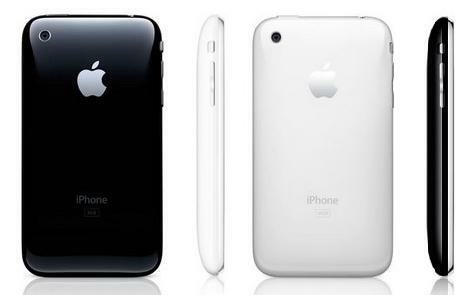 iPhone 3G will be available on July 11, 2008 comes in two models type with different prices, i.e. Black iPhone 3G with 8 GB storage and The Black or White iPhone 3G with 16 GB storage.